Herpes Dating Sites are online dating websites where the members are herpes positive. You might think these exist? Yes! There's many of these sites. There's thousands and thousands of people using these dating sites from around the world. They don't give you a test or anything. You can easily sign up for herpes online dating. Well, just because you have herpes doesn't mean your love life is over. Using a herpes dating service like this can help you find a partner that also shares this little virus. Or just make some new friends. So get out of your cave and start meeting people. You'll feel much better! What are the Benefits of using a Herpes Dating Site? Using a Herpes dating site is a great option once you are diagnosed with Herpes. Why? If both people have the HSV virus, it cannot be passed to the other person. In other words, you cannot get the Herpes virus twice. So it can be less embarrassing this way to do Herpes dating, especially genital herpes dating. You don't have to have "The Talk"
Disclaimer and warning: We do know this: If you have HSV-1 (cold sores) and your partner only has HSV-2 (genital herpes), then you can pass it. Likewise, you can pass HSV-2 to a partner that only has HSV-1. That is why it is SO IMPORTANT that you AND your partner get a HERPES TEST. I've listed these first. From my own experience dating, paid sites offer confidentiality and people that are serious about dating. I've listed some sites in no particular order. PositiveSingles.com is a great Herpes Dating Site! Just my opinion, but check it out yourself. There are thousands and thousands of people. Great forums to get help and answer questions about Herpes. It is a paid dating site (not too expensive) so it attracts good quality people. You can find my profile on there also (coyome). It's the site I've had the most success on. "In 2007, on a boring Thursday night, I received a wink on PositiveSingles, which turned into an email, then days of chatting. Before you knew it we were meeting for the first time, after a 1400 mile flight. In 2008 we became husband and wife, and are now headed to our 4th anniversary. The internet and this site, can be thanked for us finding love, and happiness, and the same can happen to you. This site has taken what was horrible news for us both, to many happy days and many more to come. Be Honest and Truthful in all you do and say on here and in life, you can find love and even marriage on here, and NEVER give UP!!!!" The herpes dating site STDFriends.com is quite a good website. It uses a Web 2.0 interface and is quite easy to use once you get the hang of it. It has a search feature, a great forum, tons of informative articles, and an awesome chat feature. I've only been on their site for a little while but everyone seems quite friendly. Cost: STDFriends.com is free to sign up and then the member services costs about $19.95 a month. This online herpes dating site, PositiveLove.com, claims to be the largest STD dating site on the Internet. Based on my searches of available women in the Philippines, it brought back the most results. Not sure about your location. Like STDFriends, it has more than just Herpes daters on here. So be careful to read profiles and most importantly ask! Cost: free to sign up. Then $18.95 a month. This herpes dating site is for Herpes daters exclusively. It has a nice interface, so it is pleasing to use. Seems to be a lot of people from the U.S on this site. Cost: Free to sign up. Then $6 a month. Now this dating site for herpes is for singles with Herpes. I quite like this website because they list all kinds of Herpes support group get togethers like National and Regional meetups. Getting out to a Herpes Meetup is a great way to meet new friends without the pressure of dating. And who knows? You might just get lucky. This site takes about 20-30 minutes to sign up for. They ask a lot of questions. It gets a little confusing though because they try to get you to sign up for extra sites like Christian singles, book lover singles, and athletic singles. In other words, they have a lot of sister or brother sites. So be careful otherwise, people on these other sites will see that you have an STD. How Can I Start Using a Herpes Dating Site? 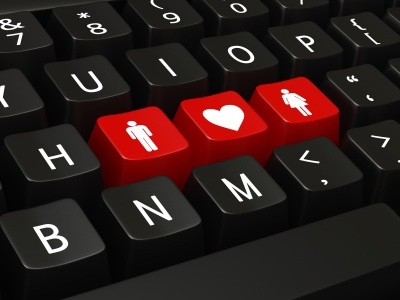 When you are using Herpes online dating sites like these, it can kinda be a hit or miss. Take your time to write up a nice profile, add some good pictures, and contribute. Contributing is one of the best things you can do to increase your chances of meeting someone. That way you begin to build a nice reputation that will get you noticed. And just good karma.